Abstract: Ann Jaquith presents a framework for understanding and building instructional capacity, based on her original research in schools and districts and ideas drawn from the literature on resourcing and social learning. She describes four types of resources—knowledge, technology, relationships, and structures—and discusses the contextual conditions that allow these resources to be identified, taken up, and put to effective use. Through case studies of schools and districts engaged in the sometimes messy work of developing the capacity to improve instruction, Jaquith shows ways that school and district leaders can identify and deploy underutilized resources and create organizational routines that support the ongoing development of instructional capacity. 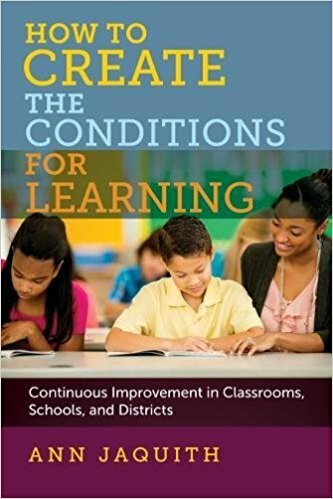 How To Create the Conditions for Learning represents an important contribution to the effort to stimulate, support, and sustain excellent teaching and inspired learning in our schools.